Those of you who are following us on Instagram could have already seen that we spent a great weekend in hotel Salzburger Hof Leogang back in September. 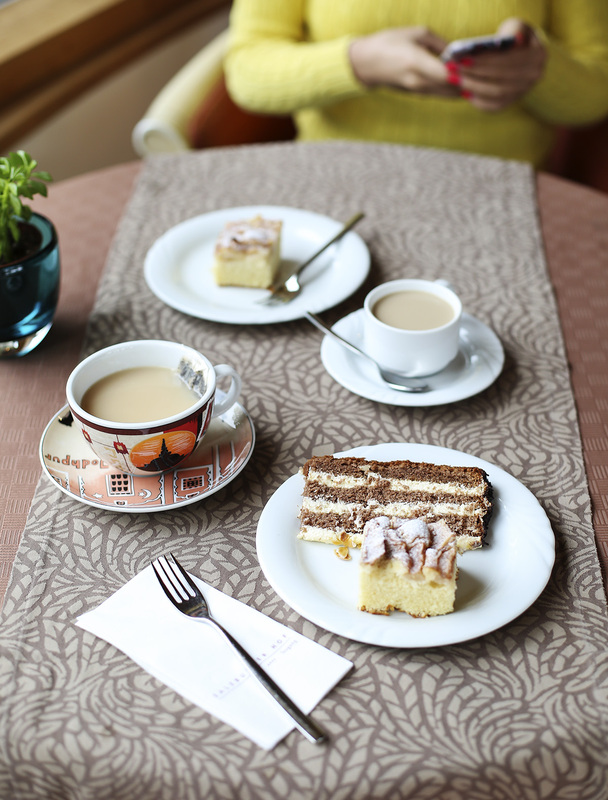 Austria’s nature is indeed gorgeous and we can never say no to exploring its beauty, so we were really happy to be a part of an Instagram campaign of Hotel Salzburger Hof and visit Leogang for the first time. Just a four hour ride from Vienna (that by the way does not even feel that long since you are passing by stunning landscapes) and there we were in front of a beautiful hotel, surrounded by mountains. So we were thinking how to write this article in an interesting way, avoiding way too much text, but still provide you with all the information that we find helpful and interesting. 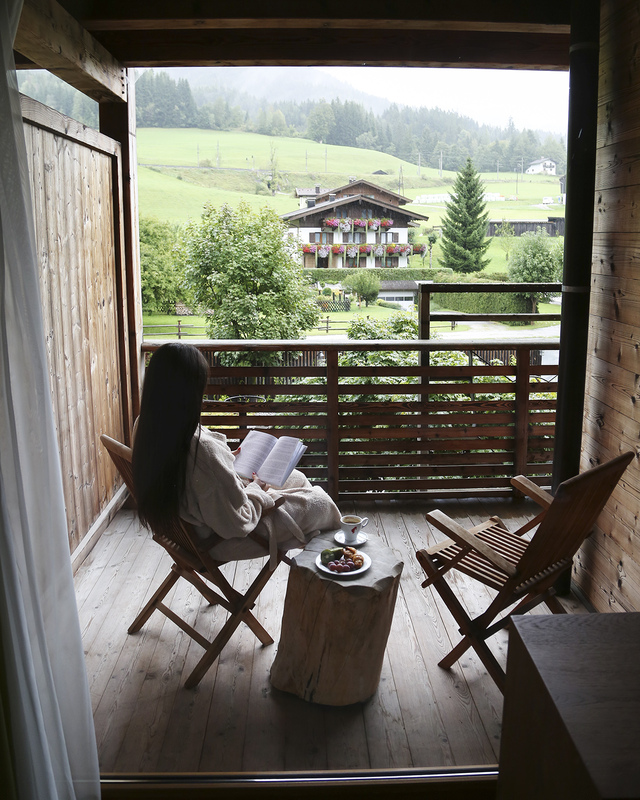 In the end we decided to write a list of things we loved about Hotel Salzburger Hof Leogang, which at the same time can be seen as reasons to visit this hotel in which it is impossible to be bored, because we think it really offers something for people of all ages and interests. Just one last note – the order is random. 1.The Interiors. Ok, this is first on the list because it is the first impression you get once you arrive. 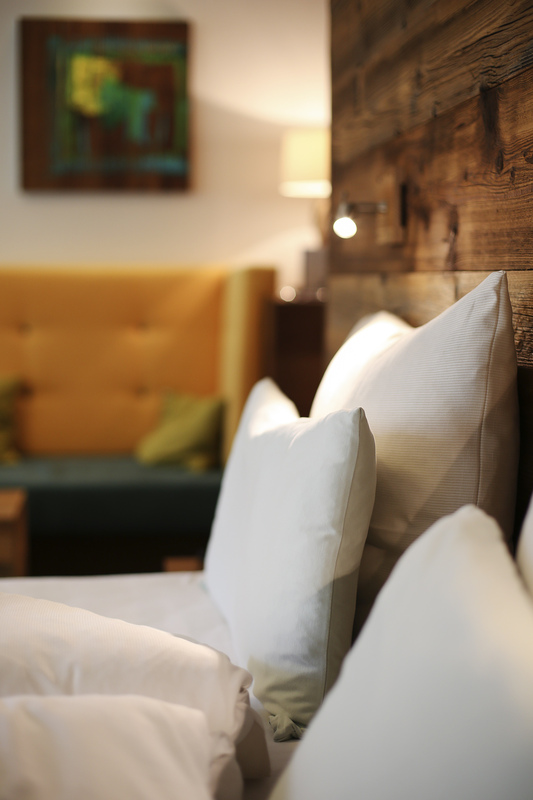 We loved the style of the hotel dominated by wood, warm colors, that modern-rustic vibe. 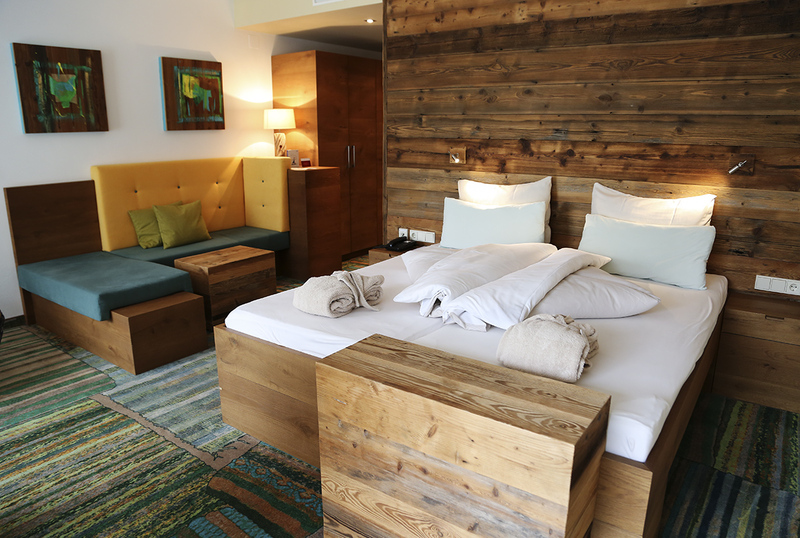 Our room was big and gorgeous, with beautiful wooden furniture, huge modern bathroom in ivory color and a scenic view upon the hill and cute Austrian houses. 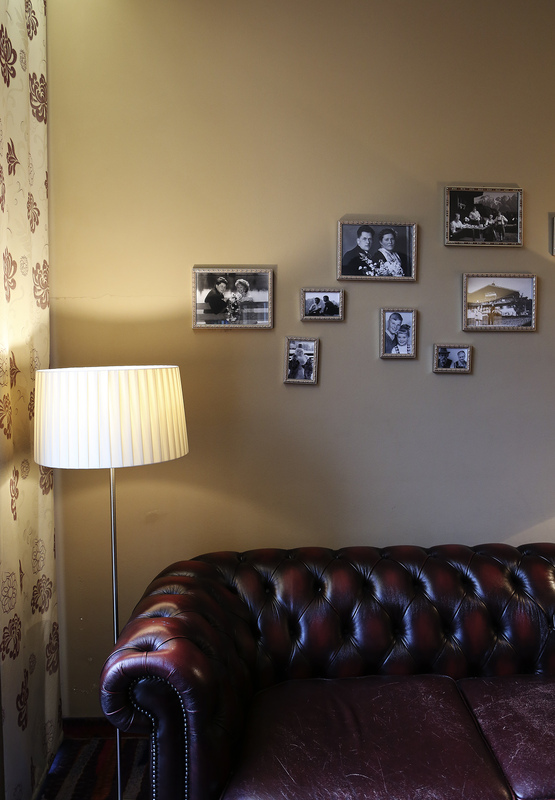 The atmosphere of the hotel and the rooms suited perfectly to the surroundings, everything so bound with the nature. We slept in that paradise like babies, and only thinking about our room makes us miss it! 2. The Nature. 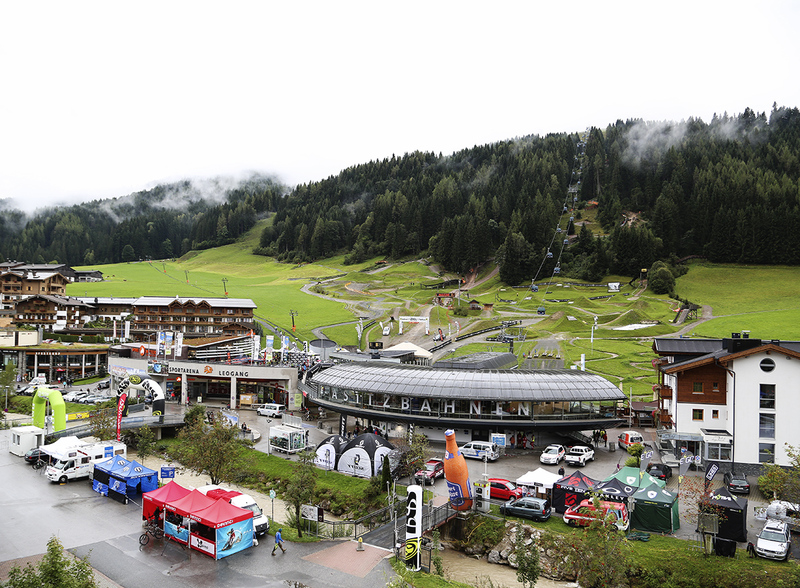 Right behind the hotel is Asitzbahn, a cable car which in a few minutes takes you on top of the mountain. Pristine nature and that crisp air, the view, everything so peaceful and gorgeous. There are many hiking routes up there, people are chatty and even if you are not a hiking pro (like obviously ourselves), you can easily find your way and enjoy discovering the beauty of the nature. Being away from the concrete jungle every once in a while feels so good and make us recharge. 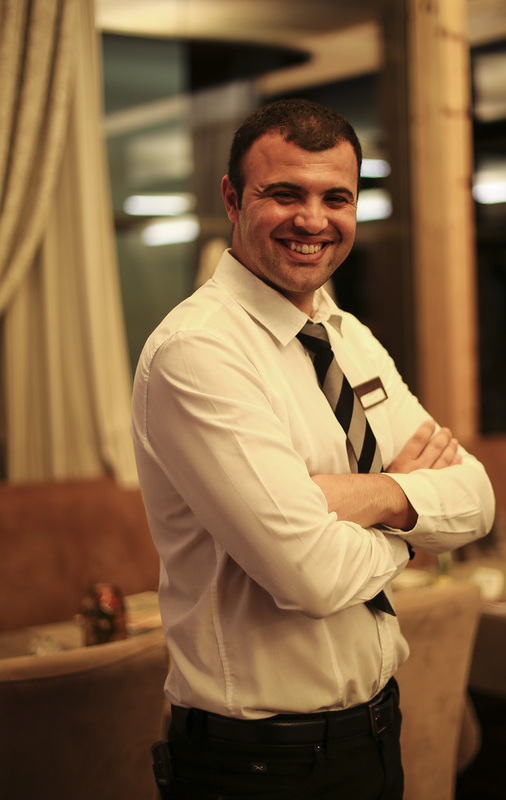 And at the end of the day, we were welcomed for a restaurant style, four course dinner. Starting with an appetizer, soup, main course, dessert and in the end cheese buffet. Did we also mention that buffet with salads was there too? We are warning you that unless you really make sure to be active during the day, there is a realistic danger to gain weight in this hotel. Because who can resist all that delicious food? It would be a sin! And even if you are not that active (like hello our soulmates), just relax and don’t deprive yourself, vacation should be a pleasure for all senses. Just keep it moderate. 5. Active Vacation. 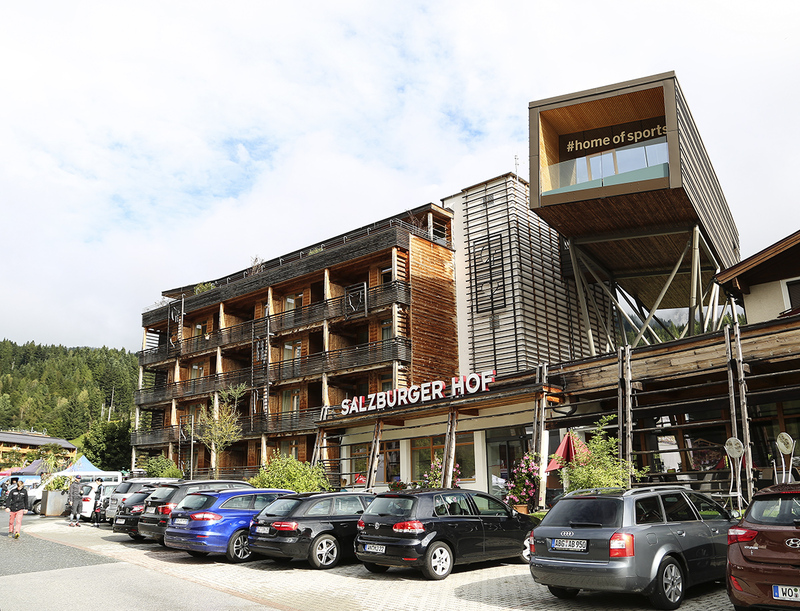 With their extensive offer of sports activities Hotel Salzburger Hof Leogang, makes it really impossible for you to ever get bored. 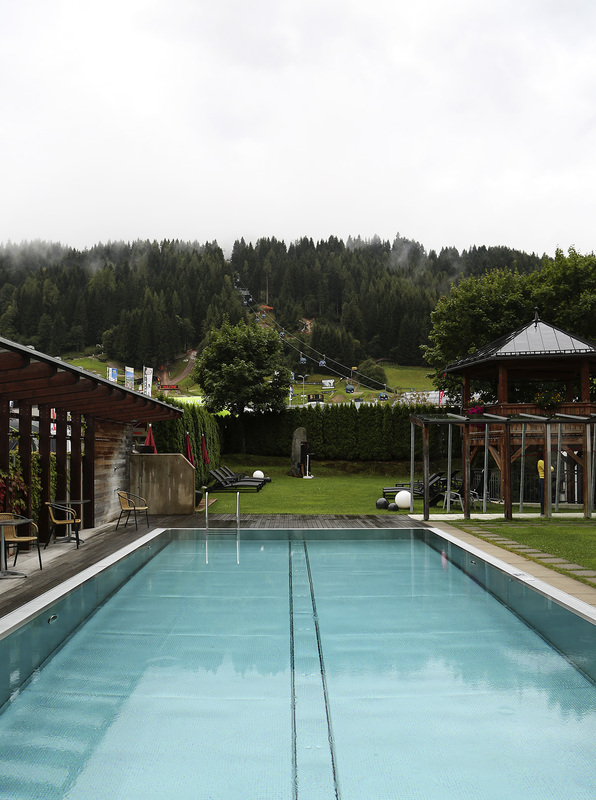 Outdoors you can do mountain biking, hiking, climbing, go swimming in the hotel pool with warm water, or archery. If the weather is bad you can always do some fitness with a mountain view in the modern gym of the hotel. Unfortunately we had bad luck with the weather so on the first day we only managed to go hiking and never made to try archery (still can’t get over it! ), but hopefully there will be a next time. 6. The Location. 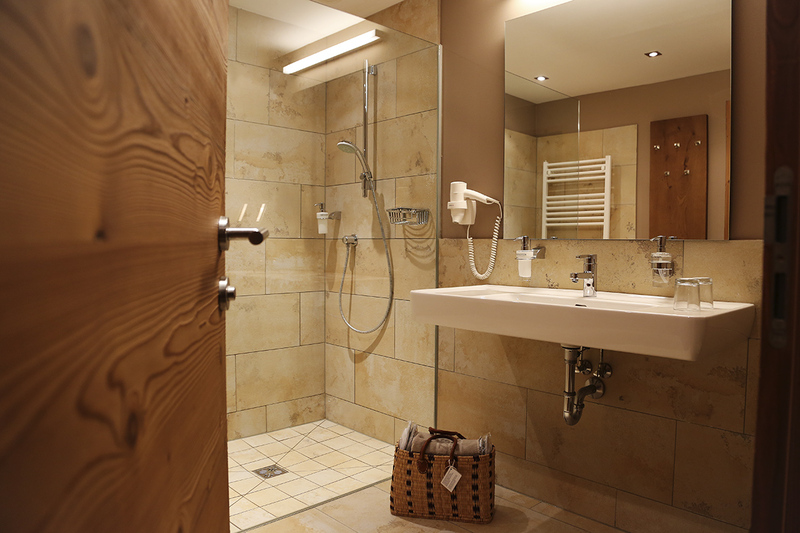 The position of the hotel is perfect base for exploring other nearby sites such as Salzburg (a must see! ), Zell am See (we have been there before and it was gorgeous), or National Park Berchtesgaden which is actually in Germany (less then an hour drive from Leogang), to name a few. The entire region surrounding Salzburg is gorgeous so it is really worth traveling around if you stay more days in Leogang. 7. The View. Waking up to see adorable cows treating themselves on the green meadows, and that fog coming out of the mountains, and a train passing by, it is like looking some beautiful painting. We used to sit at the balcony of our room in the morning, doing nothing but enjoying this beautiful view. 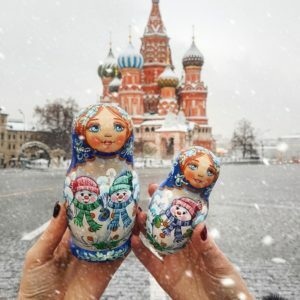 But you can also enjoy the view doing something, while exercising in the gym, walking around the mountains, from the cable car, or in the sauna. Wherever you look there is a beautiful view. 8. Best Coffee at Cafe Steinadler. At the first station of the cable car there is a cafe Steinadler with gorgeous view and really the best cappuccino we probably had in entire Austria. We also had a hot chocolate (what is better to warm up on that crisp air!) and a sparkling lemonade and everything at this cafe, including the service was perfect. We really warmly recommend you to visit this place. 9. A great place for relaxation. Before coming to hotel Salzburger Hof we had quite an exhausting week, lots of work in Vienna and many travels. So we used the second day of our stay while rain was pouring, to fully relax, take pictures inside, try out the wellness programme of the hotel and enjoy the food (yes we indeed had all the 4 meals we described on the that day. It was a challenging job but we made it! :D). And we also went to Saalfelden, a very cute micro town close to Leogang (just so that you don’t think we were laying down the entire day! :)). 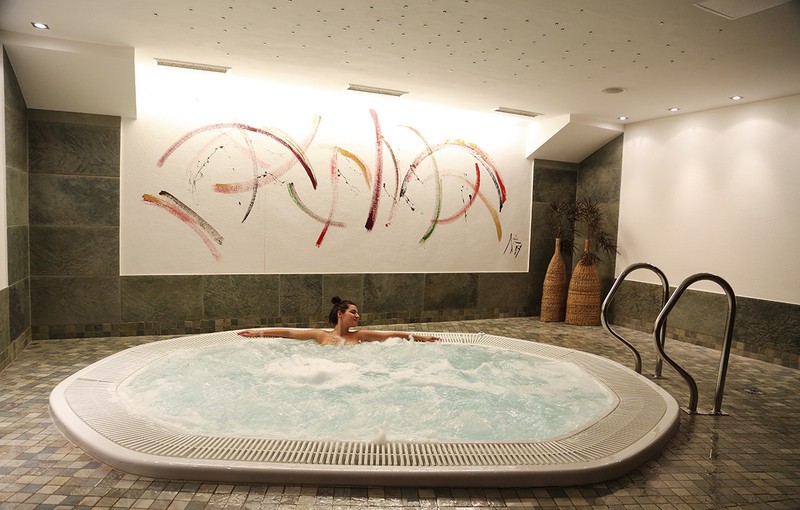 But the day was cold, wet and windy so the best place to be was inside warm whirlpool, sauna, our cozy bed or the restaurant area. :). 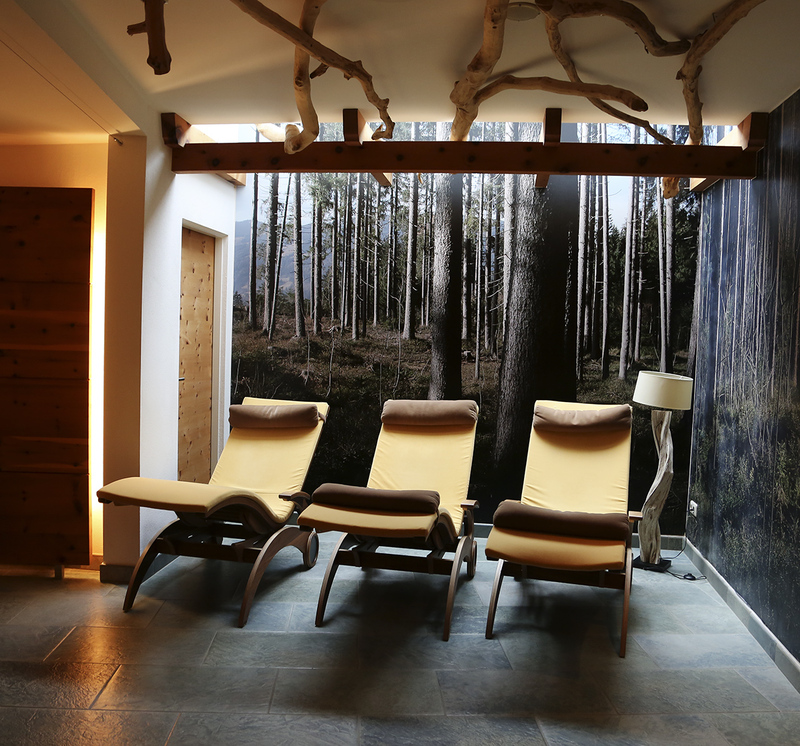 So as you can see, it doesn’t have to be all about action every single day, there is also a space and many things to do to relax and recharge at hotel Salzburger Hof Leogang. And even though we said there will not be so much text, well in the end we guess we failed the mission. This is because we really loved everything at this hotel and if we could, we would give it one star more. 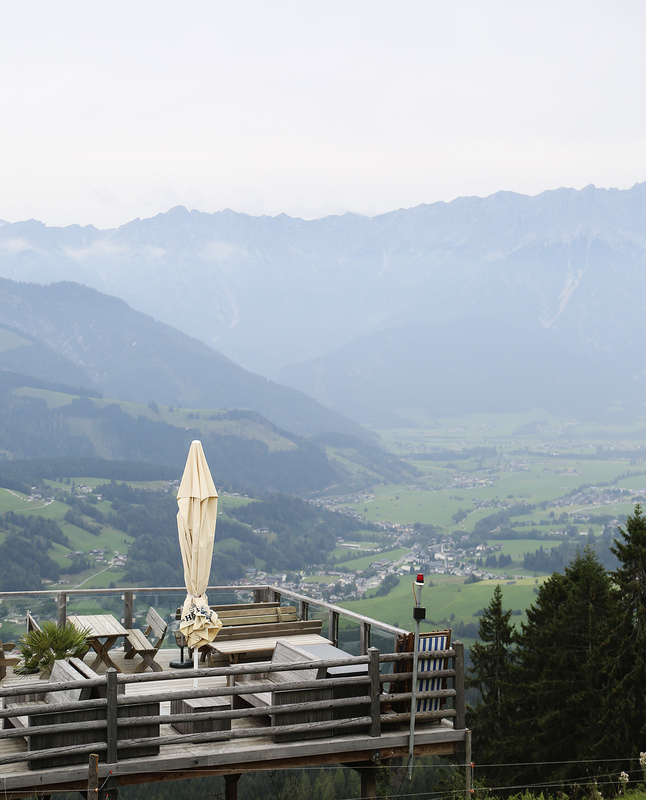 We are hoping that we have inspired you where to stay in case you visit this gorgeous part of Austria! 🙂 Hereby we would also like to thank the team of Hotel Salzburgerhof Leogang for inviting us to be a part of their campaign and for the wonderful time at their hotel. 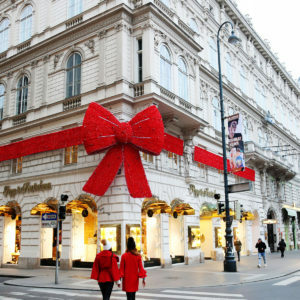 wow, the hotel itself looks amazing, but i am just so excited-as a philly girl-to see where i have been! 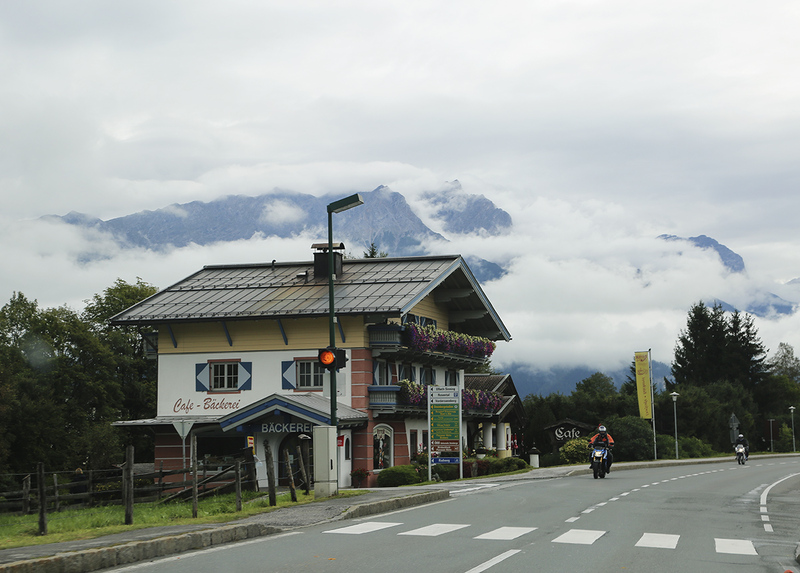 i started following your blog before we left for our austrian vacation this summer, and while we went to vienna and to salzburg, spending a week in the alps was amazing. 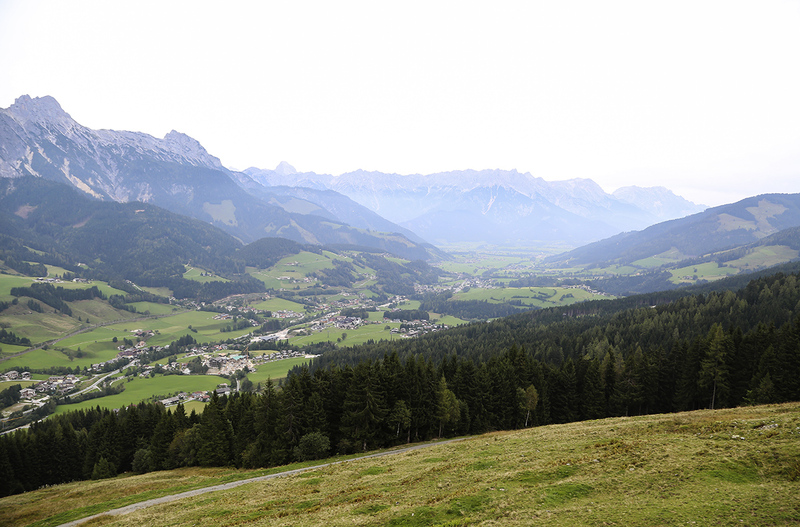 we stayed in maria alm, and did day trips from there. those views are like none other. have you gone to the ice cave in werfen? i’m sure you have. 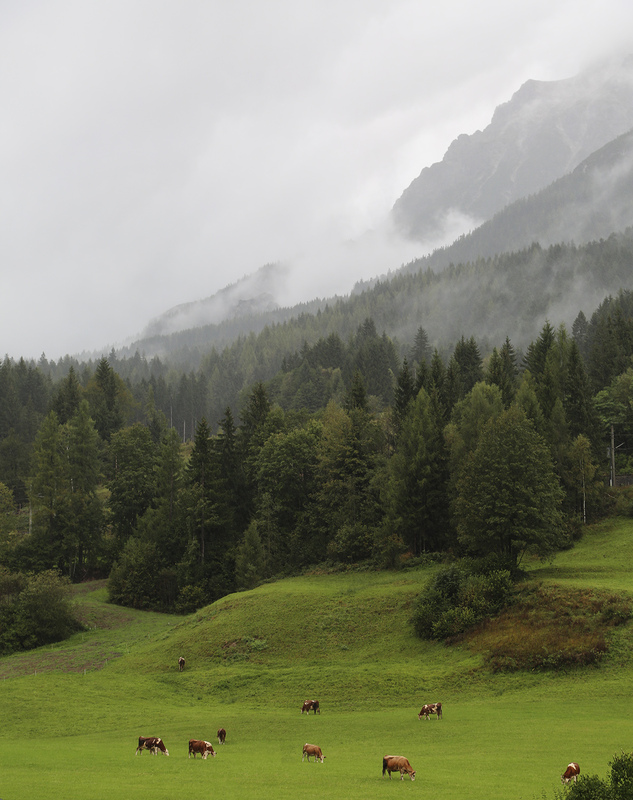 i actually super loved st. gilgen, it was like a disney fairy tale place! 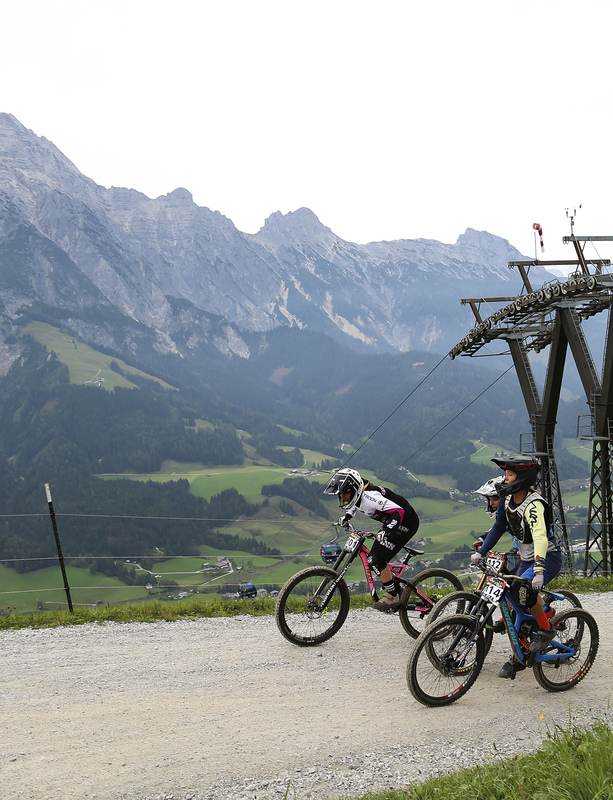 and the kitzlochlam (or something like that) in taxembach was a great outdoor activity, too.